Hey everyone! We’re rescheduling this awesome workshop so y’all don’t have to choose between this and the TAO Product Hunt at the UO Innovation Summit! 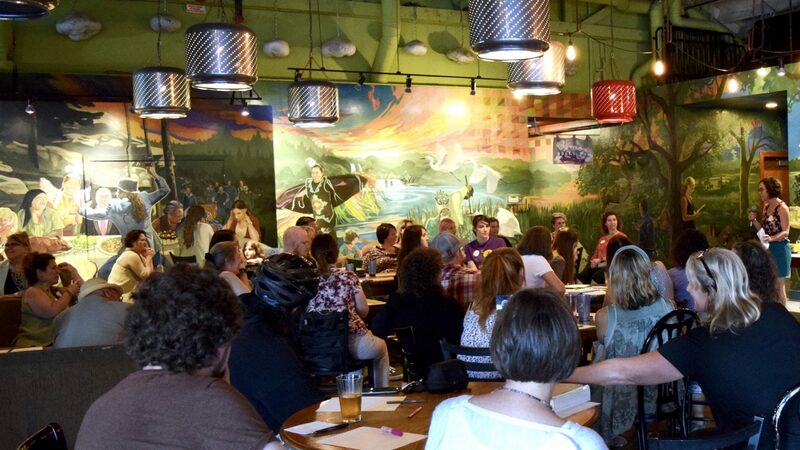 New date and time: Wednesday November 29, RAIN Eugene, 6pm. Free and open to everyone! Join Redefining Women in Tech to build your workplace skills and develop your professional game. 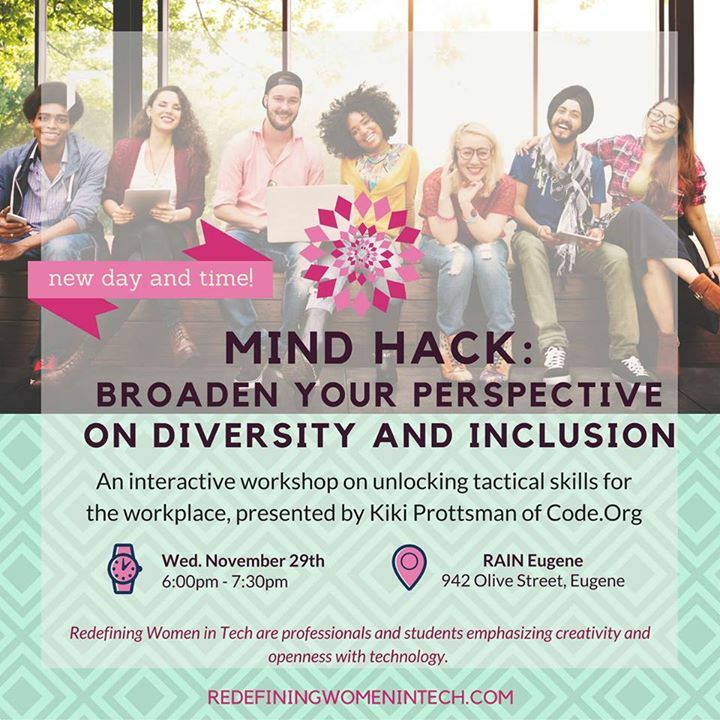 Kiki Prottsman of Code.org will present a fun, engaging workshop that will broaden your horizons on the topic of inclusion and diversity in the workplace, and will give you concrete tools to hack your own mindset. You’ll leave with a higher EQ–and who doesn’t need to nurture EQ, amirite? Let us know that you’ll be attending, and invite your friends!